The firm recently welcomed Chris Allwein to the Energy and Environment practice area. With his background in administrating energy efficiency programs at the Ohio Department of Development, counseling clean energy businesses, energy service providers, trade associations and interest groups, and representing clients before the Public Utilities Commission of Ohio (PUCO), Chris brings a wealth of experience to the firm’s energy and utility law practice. Chris graduated from Capital University Law School, and contributes time to the community through his work with Hope Hollow as a board member and the Boy Scouts of America as a member of the North Broadway United Methodist Church troop committee. In addition to Chris joining the practice, Scott Doran has been named chair of the Energy and Environment practice area. As a director, Scott has been with the firm since 2013 and was welcomed with more than 25 years of experience. He advises clients in managing federal, state and local environmental, facility siting and natural resource utilization issues. Scott has been recognized as an Ohio Super Lawyer by Law & Politics magazine and in The Best Lawyers in America. 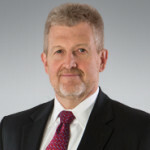 He is an active member in the Environmental Committee of the Ohio Chamber of Commerce and the Ohio Oil and Gas Association's Environmental and Midstream Committees.